The Craft Beer Wave of 2015 | What's Brewing? The Brewers Association is preparing to release their full analysis of the craft industry in 2015, but they have already released some of the findings. I am happy to report them to you. The overall craft industry grew 12.8% despite the brewing industry as a whole decreasing by .2%. This double digit growth has been maintained for nearly a decade. 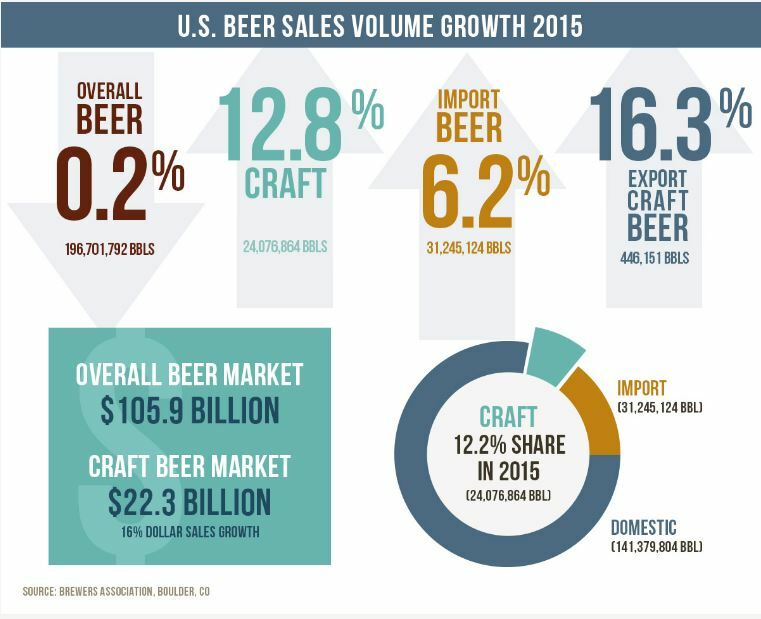 It’s also worth noting that American craft beer is being exported at an increasingly higher rate; up 16.3% over 2014. The world is continuing to take notice of the innovations of American brewers which is not only increasing demand for American craft overseas, but many European and Asian breweries are adopting the American model and philosophy. Quite the departure from the global perception of American beer even 10 years ago. The industry is also creating a huge impact on local economics and now employs more than 424,000 people. Because smaller breweries operate in a less efficient manner than macrobreweries, they must employ more people, despite producing only a fraction of the product. The dollar impact is substantial as well. In Florida and Texas, the two states with the most Brass Taps, the economic impact is $2.05 billion and $3.77 billion, respectively. We also have more breweries in the states than we have had in the history of the country. In September last year we eclipsed the 4,200 mark. In 2015 nearly 1.5 breweries opened every single day. 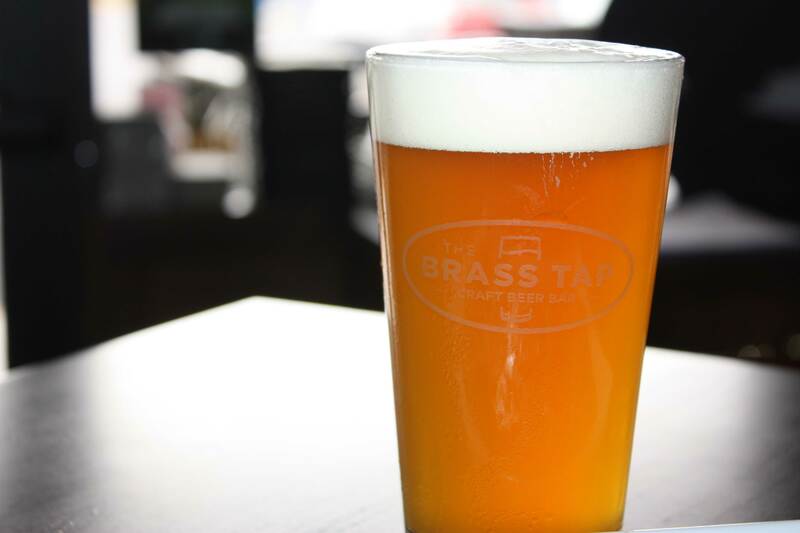 This has greatly impacted us on the retail side, as more and more local breweries are becoming available and occupying space on our draft walls. I hope to be able to relay some more statistics for you in the near future, but needless to say, the growth of the industry continues to be very encouraging for those of us who make our living in it.